Alexander Tomcej was born 25 March 1927 in Presov, Czechoslovakia, and immigrated to Canada with his family in the 1930s. 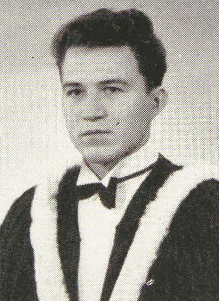 Tomcej grew up in Winnipeg's North End neighbourhood and graduated with a bachelor's degree in architecture from the University of Manitoba in 1950. Early post-graduation employment came for Tomcej at the firm of Green Blankstein Russell and Associates, where he worked from 1950 to 1954. Tomcej subsequently join the firm of Pratt Lindgren Snider Tomcej, an office which later became known as Snider & Tomcej Architects. 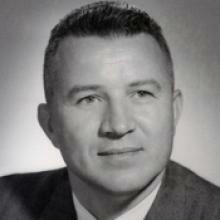 In 1954 Tomcej registered with the Manitoba Association of Architects, where he later served as vice-president. Tomcej was married to Helen Baldwin and had two children. Beyond architectural work he enjoyed spending time at his cottage at Falcon Lake, Manitoba, and also engaged in skating, curling, swimming, and crossword puzzles. He spent a great deal of time following his retirement in Florida; he eventually left Winnipeg, 2004, to move to Edmonton. Tomcej passed away in March of 2015.